Have you ever wondered how God decides to answer prayer? It is difficult for us to understand how God would respond to us as we know it is written that God’s ways are not our ways and his thoughts are not our thoughts. But certainly we can understand what God’s word has to say about prayer to the almighty and understanding that God is sovereign. Sovereign speaks of God’s supremacy, his kingship and his Godhead. To say he is sovereign is to declare his majesty and that he is the Most High. His sovereignty states that he is exactly what Paul called him in 1 Tim. 6:15 — that he is the only Potentate, the King of kings and the Lord of lords. So God has the power then to decide to answer our prayers, deny them or delay them. And we trust him to do such…or we should. 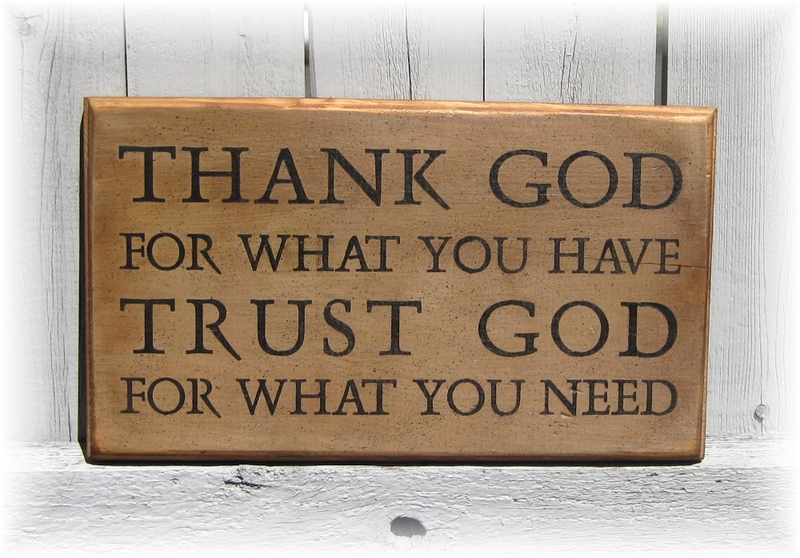 To pray to God is to trust God. To make your request known to him is to acknowledge him as the giver of all things and believe that he will respond in the best interest of his children. Our problem is deciding whether God is saying yes, no or not now to us. The first step in understanding this process is to know you are praying in God’s will. You can only know God’s will by studying his word. God’s word tells me that his intervention is greatly needed in this world. It let’s me know that God’s will is far better than the will of man and that salvation belongs only to the one who gave it. So TRUST is the first ingredient in understanding God’s answer. Are you willing dear reader to trust God and allow His will to be done? Next week we will discuss the silence of God when it comes to answering our prayers. Spot On . . . .
What a great reminder – thanks for the poke! Thank you brother, words I needed to hear, can’t wait till next week…..